The behavioral interview is a proven and widely-used method of exploring a candidate's suitability for the position. It goes beyond just looking at the candidate's educational and work history to determine the right fit, asking the candidate for specific examples of past behavior as they relate to the job requirements. 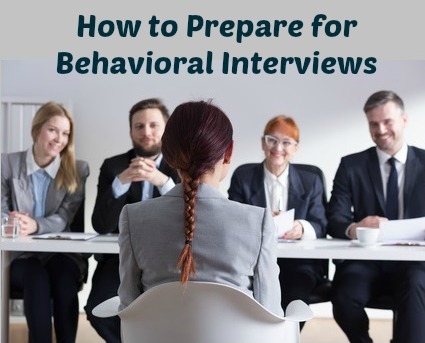 This type of job interview is based on the premise that past behavior predicts future behavior and seeks previous evidence of required job-related behaviors. Behavioral interviewing explores the workplace competencies that are required for successful job performance. If the job requires a person to be able to analyze and find solutions to problems the interviewer will ask the candidate to provide an example of when they previously displayed that behavior. "Tell me about a problem you uncovered in your previous job. What steps did you take to sort it out?" It is often difficult to think of good examples within the time constraints and stressful context of a job interview. Know which behaviors (sometimes referred to as competencies) are required in the position by reviewing the job description and requirements. What is the STAR method used in behavioral interviews? Listen carefully to the questions asked and, if need be, ask for further clarification. Answer with an appropriate and specific example. Often the interviewer will ask follow-up questions to get more information. "Tell me why you did that"
"Take me through your decision process"
"How did you feel about that"
so it is essential to have a complete, actual example to draw on. Click on the required behavior to view job interview behavioral questions and excellent interview answers. For a complete list of behavioral based interview questions for specific jobs go to this job interview guide. Keep in mind that there are no right or wrong behavioral answers, it is an attempt to see how you behaved in a given situation. It is not possible to fabricate an example. The interviewer's in-depth probing will quickly expose this. Use these expert tips for behavioral job interviews to give you the confidence that you know exactly how to handle this type of interview. View examples of frequently asked situational interview questions with answers. 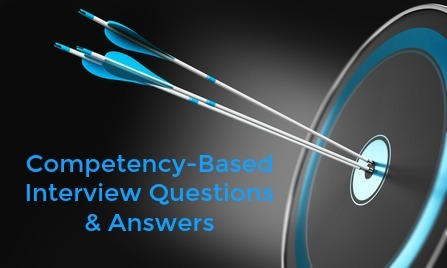 Find out more about the core competencies identified as critical for job success. Different jobs require specific competencies or behaviors but these 12 core competencies are required for acceptable job performance in nearly all career fields.